This section hosts blogs by Dr. Michael Persinger, replying to common misunderstandings about his work in neuroscience. Blogs by Dr. Michael A. Persinger. 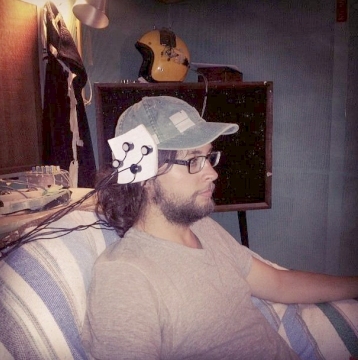 The God Helmet’s Weak Fields are Sufficient to Influence Brain Activity. We do not allow suggestion or Suggestibility to Influence our Lab Results. Our results can’t be attributed to suggestion. God Helmet (and many other of our) results have been replicated. 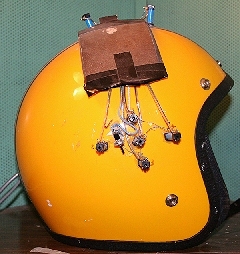 God Helmet Experiments use Blind Protocols and Placebo Controls. Replications of our work on Geomagnetism and Paranormal Phenomena. The Tectonic Strain Theory and French’s “Haunted Room” Experiment. Richard Dawkins – Alcohol and the God Helmet don’t mix. My theories are not based on religiousness in epileptics. Religious belief is not an epileptic phenomenon. The mistaken claims that our magnetic fields can’t affect the brain ignore the evidence – a Blog by Dr. Michael Persinger. Question: Is there any truth to the claim that your magnetic fields cannot influence the brain? 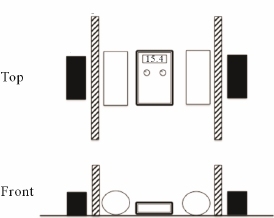 A schematic diagram of the testing apparatus for the experiment. Two wooden pine boards or duct metal were periodically inserted between the SAM-360 (vis. God Helmet) device and the power meter. In one condition physiological saline was placed adjacent to the power meter. Answer: No. Recently, a colleague and I performed an experiment using three materials, each three times as dense and thick as the human skull (wood, saline solution or duct metal) to demonstrate that there is no validity to claims that weak, time-varying magnetic fields applied in this manner are eliminated or significantly attenuated (weakened) by the human skull. The result was straightforward: The fields were not attenuated (weakened) in any way. The contention that magnetic fields cannot influence the brain is based on a fallacious interpretation of TMS (Transcranial Magnetic Stimulation), which uses magnetic fields strong enough to depolarize neurons. Typically, these fields are a million times stronger than the kind that surround stereo headphones. This “brute force” approach has several clinical applications. Critics claim that neural stimulation employing fields with lower strengths can’t have any effect. A brief look at the applicable laws of physics and laboratory evidence shows us that this simply isn’t the case. It should be understood that any contention that magnetic fields cannot penetrate the head are contrary to the laws of physics, which tell us that the head cannot act as a magnetic insulator, because these same laws exclude the existence of magnetic insulation. This has to do with one of Maxwell’s Equations (del dot B = 0). All magnetic field lines must terminate on the opposite pole. Because of this, there is no way to stop all of them; they must all find a way to return the magnetic field lines back to an opposite pole. This is how it is explained in the theories of physics. When we examine the question empirically, we find that there is a substantial body of evidence showing that weak magnetic fields do penetrate the head, and that they can also influence brain activity. Let me address how this happens. In classical physics, a changing magnetic field produces an electric field and an electric current. The amount of current depends upon the conductivity of the substance, whether its a copper wire or our brain tissues. That’s how TMS works. However, there is also magnetic energy. When we apply our magnetic fields, with strengths a million times less than TMS, the energy within the volume of the person’s brain is about a nanoJoule (one billionth of a Joule) per second. When we average this out over the about 100 billion neurons (and their support cells) in the human brain, that works out to about 10^-20 Joules per cell each second. The number is a decimal point followed by 19 zeros and then a 1. This may seem very, very small. Actually, it matches the amount of energy involved when a single nerve cell produces one action potential that contributes to our present-time subjective experience. Moreover, a change in the activity of one neuron can alter the state of the entire brain (Cheng-Yu, 2009) This small quantity of energy is also the same as the amount that binds chemicals to cells through receptors. However, the values can be enhanced. Our brains are richly populated with crystalline magnetite, containing 5 million such crystals per gram (Kirschvink, 1992 A). They appear in chains (“magnetosomes”). In the vernacular, our fields work because these chained crystals move in response, and because the information encoded in their movement (coming from our signals); their “patterns”, interacts with the magnetic fields that appear as a consequence of the brain’s electrical activity, a “field to field” effect. Imagine the sun has a storm, making it’s magnetic field pulse slowly. Here, on the earth, we would have geomagnetic storms, as pulses from the sun’s stormy field are added to that of our planet. We have found the same field that produced the sensed presence works by very specific channels within membranes that allow calcium to enter the cell (Buckner et al, 2015). The timing of the point durations that compose the specific field pattern must be precise or there is no effect. One of the pioneers in biological aspects of magnetic fields, Joseph Kirshvink (1992 B) wrote: “A simple calculation shows that magnetosomes [chains of magnetic particles] moving in response to earth-strength ELF fields are capable of opening trans-membrane ion channels, in a fashion similar to those predicted by ionic resonance models. Hence, the presence of trace levels of biogenic [produced or brought about by living organisms] magnetite in virtually all human tissues examined suggests that similar biophysical processes may explain a variety of weak field ELF bioeffects”. The magnetic fields that surround stereo headphones are in the same range, but are not embedded with neural information. The unit of magnetic field measurement used in the research publications. The equivalent field strength in milligauss (mG), so that the same unit of measurement can be seen for all the cited studies. The percent of the fields employed in TMS. A brief summary of each result. A link to the publication. These are displayed below in descending order of field strength, and they range from one quarter (25%) to five ten-billionths (5 x 10 -13%) of the field strength used in TMS. Dobson, Jon, et al. (2000) used a 1.8 milliTesla field (= 18,000 mG, or 0.18% of the fields strengths used in TMS) to enhanced and suppress interictal epileptiform activity in temporal lobe epileptics. Thomas (et al. ), 2007 used a 400 microTesla magnetic field (=4,000 mG which equals 0.04% of the fields used in TMS) for pain reduction in patients with fibromyalgia. Huesser, (et al.) 1997 used a 0.1 microTesla magnetic field (= 1000 mG , which equals 0.01% of the fields used in TMS) to cause changes in EEG parameters. Carrubba et al., (2008) used a 2 Gauss magnetic field (= 2000 mG, which equals 0.02% of the field strengths used in TMS) to elicit magnetosensory evoked potentials. Note: The same researcher also found EEG activation in response to magnetic fields with 1 Gauss field strengths (0.01% of the field strengths used in TMS. (See evidence). Brendel et al., (2000) used an 86 microTesla magnetic field (= 860 mG or 0.0086% of the field strengths used in TMS) to elicit melatonin suppression following in vitro pineal gland exposure to magnetic fields. Bell et al. (2007) used a 0.78 Gauss magnetic field (=780 mG or 0.0078% of the fields used in TMS) to induce increased EEG activity at two or more frequencies. Vorobyov, et al., (1998) used a 20.9 microTesla magnetic field (=209 mG or 0.0029% of the field strengths used in TMS) to influence EEG differences in rats. Vorobyov, Vasily Vasilievitch, et al. “Weak combined magnetic field affects basic and morphine-induced rat’s EEG.” Brain research 781.1 (1998): 182-187. (See evidence | See more evidence (2009)). Tinoco & Ortiz (2014) used a 1 microTesla magnetic field (=10 mG or 0.0001% of the fields strengths used in TMS) to replicate one of Persinger’s published God Helmet effects. Jacobson (1994) used a 5 picoTesla magnetic field (= 0.00005 mG or 0.000000000005% of the field strengths used in TMS), and observed a direct correlation of melatonin production with magnetic field stimulation. Sandyk, (1999) “picoTesla range” used 500 picoTesla (=0.005 milligauss or 0.00000000005% of the field strengths used in TMS) magnetic fields improve olfactory function in Parkinson’s disease. NOTE: Sandyk has published scores of case histories documenting the effects of picoTesla range magnetic fields on humans, including MS and Parkinson’s (publications). I hope this blog will clarify that the magnetic fields we utilize in the God Helmet can indeed affect brain activity, and that claims to the contrary contradict the laws of physics and are made without examination of the evidence. NOTE: This blog is hosted by a colleague. Cheng-yu, T. Li, Mu-ming Poo, and Yang Dan. “Burst spiking of a single cortical neuron modifies global brain state.” Science 324.5927 (2009): 643-646. Kirschvink, Joseph L., et al. “Magnetite in human tissues: a mechanism for the biological effects of weak ELF magnetic fields.” Bioelectromagnetics 13.S1 1992 (B): 101-113. We take every measure to ensure that our subjects are not exposed to suggestions. Our laboratory results are not due to suggestion or suggestibility – A blog by Dr. Michael A. Persinger. We apply several procedures to guarantee that our subjects are not exposed to suggestions, have no expectations, so that our results are not influenced by subject suggestibility. These procedures and analytical methods rule out suggestion as an explanation for the effects we have observed in our experiments. Question: How do you ensure that subjects are not inadvertently given suggestions as to the purpose of your experiments and how do you respond to the claim that your results are due to suggestibility? Human beings are remarkably sensitive to subtle cues in their environment. For example, specific areas of the human brain respond to alterations in structures of sentences while a person is reading even though the person is not “aware” of the change in sentence structure (Bern, 1997). Thirty years ago when we were interested in the “subjective narrative” of people sitting in the dark in a quiet chamber we found that the music, e.g., a Gregorian chant or the bars from the movie Close Encounters of the Third Kind, compared to sitting in silence, affected the content of the “spontaneous” themes. Sitting in silent darkness without previously hearing any music generated more “death” images, the pre-darkness listening to Gregorian chants was associated with more religious images and the movie score was associated with space themes. We could influence what the subjects thought about by “priming” them with music with clear connotations. Context is also important (Persinger, 1989; 1992). In one of our placebo-controlled experiments, we applied our magnetic signals, and immediately afterwards, the subjects listened to an ambiguous narrative (story) about a young boy who had night time anomalous experiences (“The Billy Story”) . These were epileptic in origin, although this was never stated. After the story and the stimulation was complete, we asked to subjects to listen to a brief story about either alien abduction or early sexual abuse. The story was provided without any explanation. The subjects were then asked to interpret the story about the boy’s night time experiences both immediately and a few days after. We found that the subjects who heard the story about early sexual abuse interpreted the “Billy” story as one of sexual abuse, and the subjects who heard the story about alien abductions interpreted it as being about an interaction with aliens. (Dittburner and Persinger, 1993; O’Gorman and Persinger, 1998). In this way, we verified how easily pseudomemories or false memories can be produced (Persinger, 1992; Healey and Persinger, 2001). My critics who attribute God Helmet experiences to suggestibility have never directly tested this hypothesis. We have tested this potential confounding effect by psychometric inferences which are highly correlated with hypnotizability, such as the Wilson-Barber Imaginings Scale. We also have several experiments where we measured hypnotizibility directly with the Spiegel and Spiegel scale where the experimenter interacts with the subject directly (Ross and Persinger, 1987). The latter was administered after the exit questionnaire containing 20 questions about their experiences. Interestingly, the last item in this questionnaire asks if the red light changed intensity even though for most studies there was no red light. Suggestible or highly hypnotizable individuals frequently respond “yes” to this item. However, even when the many suggestibility measures were taken into account during the statistical analyses, the sensed presence reports still occurred primarily when the “God Experience” protocol was used. Dr. Linda St-Pierre and I explained this in our 2006 paper in the International Journal of Neuroscience, but online skeptics seem not to have read it. Finally I reiterate that the volunteers do not know if they will receive a magnetic field or which field it might be and they are always told they are participating in a relaxation study. We use questionnaires with our student subjects. The questionnaires are applied at least six weeks before these students participate, and these are only some of the questionnaires they students fill out as they study psychological data gathering. This gives them first hand experience with methods of gathering psychological data. They have no idea that the questions have anything to do with the experiment. The data are gathered under “blind” conditions. We do not decorate our lab with any spiritual or religious imagery, and the researchers don’t discuss the specifics of the experiment with subjects until after all data have been gathered. One experiment made it clear that our effects were not coming from suggestion. After experimenting for several years with a burst-firing pattern, and seeing repeated results telling us that it generated higher pleasantness ratings when applied over the left hemisphere (see example; Persinger & Healey, 2002), we began to investigate another signal, derived from hippocampal tissues during long-term potentiation. In that case, and a few since, we have seen that this signal is more pleasant over the right hemisphere (Persinger, et al., 1994). If our effects were due to suggestion, these results should have been the same in all cases, but they weren’t. I hope this blog clarifies that we are aware of experimental factors that allow suggestions and suggestibility to confound experimental results, and that we take all necessary steps to prevent their occurrence. Berns, Gregory S., Jonathan D. Cohen, and Mark A. Mintun. “Brain regions responsive to novelty in the absence of awareness.” Science 276.5316 (1997): 1272-1275. Dittburner, T.-L. and Persinger, M. A. (1993). Intensity of amnesia during hypnosis is positively correlated with estimated prevalence of sexual abuse and alien abductions: implications for false memory syndrome. Perceptual and Motor Skills, 77, 895-898. Healey, F. and Persinger, M. A. (2001). Experimental production of illusory (false) memories in reconstructions of narratives: effect size and potential mediation by right hemispheric stimulation from complex, weak magnetic fields. International Journal of Neuroscience, 106, 195-207. O’Gorman, K. A. and Persinger, M. A. (1998). Hypnotic Induction profiles, contextual innuendo and delayed intrusion errors for a narrative: searching for mediating variables. Perceptual and Motor Skills, 87, 587-593. Persinger, M. A. (1989). Geophysical variables and behavior: LV. Predicting the details of visitor experiences and the personality of experients. Perceptual and Motor Skills, 68, 55-65. Persinger, M. A. (1992). Neuropsychological profiles of adults who report “suddenly remembering” of early childhood memories: implications for claims of sexual abuse and alien visitations/abduction experiences. Perceptual and Motor Skills, 75, 259-266. Persinger, M. A. (1996). Subjective pseudocyesis in normal woman who exhibit enhanced imaginings and elevated indicators of electrical lability within the temporal lobes: implications for the “Missing Embryo Syndrome”. Social Behavior and Personality, 24, 101-112. Ross, J. and Persinger, M. A. (1987). Positive correlations between temporal lobe signs and hypnosis induction profiles: a replication. Perceptual and Motor Skills, 64, 828-830. St-Pierre, L. S. and Persinger, M. A. (2006). Experimental facilitation of the sensed presence is predicted by specific patterns of applied magnetic fields not suggestibility: re-analysis of 19 experiments. International Journal of Neuroscience, 116, 1-8. Spiegel, H. and Spiegel, D. (1978). Trance and treatment: clinical uses of hypnosis. New York: Basic Books. Persinger, Michael A., and Faye Healey. “Experimental facilitation of the sensed presence: Possible intercalation between the hemispheres induced by complex magnetic fields.” The Journal of nervous and mental disease 190.8 (2002): 533-541. Persinger, Michael A., Pauline M. Richards, and Stanley A. Koren. “Differential ratings of pleasantness following right and left hemispheric application of low energy magnetic fields that stimulate long-term potentiation.” International journal of neuroscience 79.3-4 (1994): 191-197. The results of our experiments cannot be attributed to experimenter suggestion or subject suggestibility. 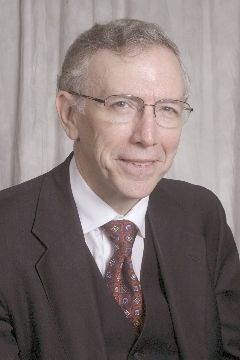 – A Blog by Dr. Michael Persinger. Question: What results have you had that cannot be explained by suggestion? Answer: We have seen many effects that cannot be explained by suggestion or suggestibility. These have been done with people, rats, worms and living cells maintained (cultured) in petri dishes. One very clear illustration is seen in our study that found that our magnetic field stimulation actually enhanced hypnotizability (Tiller, 1994) with a pulsed field, which we replicated two years later (Healey, 1996) with a burst-firing pattern. We took measures of the suggestibility of each subject using an established instrument for its measurement as part of these experiments (Spiegel, 1978). Altering suggestibility through suggestion is a highly improbable scenario, so the results of these studies ruled it out as an explanation for our magnetic stimulation effects in humans approximately twenty years ago. For many of our experiments that created the sensed presence, we measured suggestibility directly using a well-established protocol (Spiegel, 1978). We found that analyzing the data for the person’s hypnotizability score did not reduce the intensity of the sensed presence produced by the specific magnetic field pattern. The key paper was called “Experimental facilitation of the sensed presence is predicted by specific patterns of applied magnetic fields not by suggestibility: re-analysis of 19 experiments”. It was published in the International Journal of Neuroscience (St-Pierre, LS, 2006). We have observed clinical effects that cannot be explained by suggestion. For example, Baker-Price (1996) found differential changes in the EEG patterns of patients who had sustained head injuries, depending upon the specific neural location where the field was applied. The experiment also found a significant improvement of depression and a reduction of phobias. We replicated this experiment in 2003 (Baker-Price, 2003), with very similar results and follow-up six weeks after the experiment was completed. Tsang et al (2009) showed clearly with relatively crude psychometric measurements that infer emotional profiles that different patterned fields produced different mood states. Attributing these results to patient suggestibility leads inevitably to the conclusion that depression can be treated through suggestion, a conclusion unsupported by any evidence nor predicted by any hypotheses. We have also shown clear changes in delta and theta power over the temporal lobes during magnetic field stimulation (and more accurate brain wave measures, such as QEEG), (Corradini et al 2013), using a completely separate method for producing the signals. Eliciting the same effects with both different hardware and software also allows confirmation that our results that cannot be attributed to hardware artifacts. However, the most powerful demonstration that the electromagnetic effects are not due to suggestion is the effect upon cells. We have found in controlled studies that the same pattern using in our sensed presence experiments slows the rate of a variety of different types of cancer cells in cultures (Hu, et al., 2010, Bruckner, 2015). These fields inhibited only cancer cell growth but did not retard the growth of normal cells. We have found this same field that produced the sensed presence works by very specific channels within membranes that allow calcium to enter the cell (Buckner et al, 2015). The timing of the point durations that compose the specific field pattern must be precise or there is no effect. Our studies using lab rats cannot be attributed to suggestion as rats cannot be said to be “suggestible”. Nevertheless, we carry out blind analysis of rat brain sections in our rat studies, in which the investigator does not know which brain regions may have been affected by a procedure or the magnitude of the differences predicted between the rat brains exposed to the magnetic fields and those which were not (Fournier, 2012). In rat studies investigating differences in rat behavior following stimulation with magnetic signals, the experimenter observing their behavior is kept blind to the experimental condition (Whissell, 2007, McKay, 2004, Bureau, 1994, Babik, 1992). Our examination of microscope slides from rat subjects and controls is also done under blind conditions (Cook, 1999). We have also carried out similar procedures with worms (planarium – Dugesia sp.) (Mulligan, 2012). The false impression that our effects come from suggestibility of our experimental participants originates from a paper published by Granqvist et al.. That publication reported an incorrectly configured experiment in which our neural stimulation signals were run at too high a velocity (their computer wasn’t calibrated to the software) and for too short a time (only ten minutes instead of the twenty we normally use as the minimum stimulation). There were other issues, but these were the most significant. Granqvist et al explained the difference between our results and theirs by the speculation that our results were due to suggestibility in our subjects. Note that Granqvist et al did not actually measure their subject’s suggestibility. Their explanation is entirely speculative and ultimately incorrect. I hope this blog will clarify that we are fully aware of the need to prevent experimenter suggestions and that our results are not due to to suggestibility in our subjects. Tiller, S. G., and Michael A. Persinger. “Enhanced hypnotizability by cerebrally applied magnetic fields depends upon the order of hemispheric presentation: An anistropic effect.” International journal of neuroscience 79.3-4 (1994): 157-163. Healey, Faye, Michael A. Persinger, and S. A. Koren. “Enhanced hypnotic suggestibility following application of burst-firing magnetic fields over the right temporoparietal lobes: A replication.” International journal of neuroscience 87.3-4 (1996): 201-207. Spiegel, H. & Spiegel, D. (1978) Trance and treatment. Basic Books: N.Y.
Pierre, LS St, and M. A. Persinger. “Experimental facilitation of the sensed presence is predicted by the specific patterns of the applied magnetic fields, not by suggestibility: re-analyses of 19 experiments.” International Journal of Neuroscience 116.19 (2006): 1079-1096. Baker-Price, L. A., and Michael A. Persinger. “Weak, but complex pulsed magnetic fields may reduce depression following traumatic brain injury.” Perceptual and motor skills 83.2 (1996): 491-498. Baker-Price, Laura, and Michael A. Persinger. “Intermittent burst-firing weak (1 microTesla) magnetic fields reduce psychometric depression in patients who sustained closed head injuries: A replication and electroencephalographic validation.” Perceptual and motor skills 96.3 (2003): 965-974. Tsang, Eric W., Stanley A. Koren, and Michael A. Persinger. “Specific patterns of weak (1 microTesla) transcerebral complex magnetic fields differentially affect depression, fatigue, and confusion in normal volunteers.” Electromagnetic biology and medicine 28.4 (2009): 365-373. Hu, Jing H., et al. “Growth of injected melanoma cells is suppressed by whole body exposure to specific spatial-temporal configurations of weak intensity magnetic fields.” International journal of radiation biology 86.2 (2010): 79-88. McKay, B. E., and M. A. Persinger. “Normal spatial and contextual learning for ketamine-treated rats in the pilocarpine epilepsy model.” Pharmacology Biochemistry and Behavior 78.1 (2004): 111-119. Bureau, Y. R. J., O. Peredery, and M. A. Persinger. “Concordance of quantitative damage within the diencephalon and telencephalon following systemic pilocarpine (380 mg/kg) or lithium (3 mEq/kg)/pilocarpine (30 mg/kg) induced seizures.” Brain Research 648.2 (1994): 265-269. Missaghi, Babik, Pauline M. Richards, and Michael A. Persinger. “Severity of experimental allergic encephalomyelitis in rats depends upon the temporal contiguity between limbic seizures and inoculation.” Pharmacology Biochemistry and Behavior 43.4 (1992): 1081-1086. Cook, Lisa L., and M. A. Persinger. “Infiltration of lymphocytes in the limbic brain following stimulation of subclinical cellular immunity and low dosages of lithium and a cholinergic agent.” Toxicology letters 109.1 (1999): 77-85. Replication of God Helmet experiment and many other of our results. – a Blog by Dr. Michael A Persinger. Much of our work, including with the God Helmet, has indeed been replicated. Claims to the contrary are mistaken . – A blog by Dr. M.A. Persinger. Question: Have any God Helmet effects been replicated? Have other results from your lab have seen replication? Answer. Yes. Every major discovery we have published that was considered “novel” has been replicated when the researcher followed the correct procedure. A replication of God Helmet effects we have also reported in the literature was published in 2014 by a pair of Brazilian researchers (Tinoco, et al. 2014). Their report very closely replicates one of our early studies (Richards & Persinger, 1993), using the same analytical method that distinguished subjects from controls. That study concluded that it supports the contention that its results and those reported in our research publications are “attributable to the fields and their configurations, not to suggestibility”. This refutes the claims that our results come from subject suggestibility. These mistaken claims come from a researcher (Granqvist et al.) who did not set up his equipment properly. To explain his lack of results, he claimed that none were possible, and to explain our results, he claimed that we used improper methods with suggestible subjects. Actually, we do use double-blind and placebo controlled methods, as discussed on another page. I and my colleagues have answered these claims formally in the literature   ) (St-Pierre, 2006; Persinger 2005) and reviewed the methodological issues informally in web postings. The Granqvist et al study was not designed to be a replication. 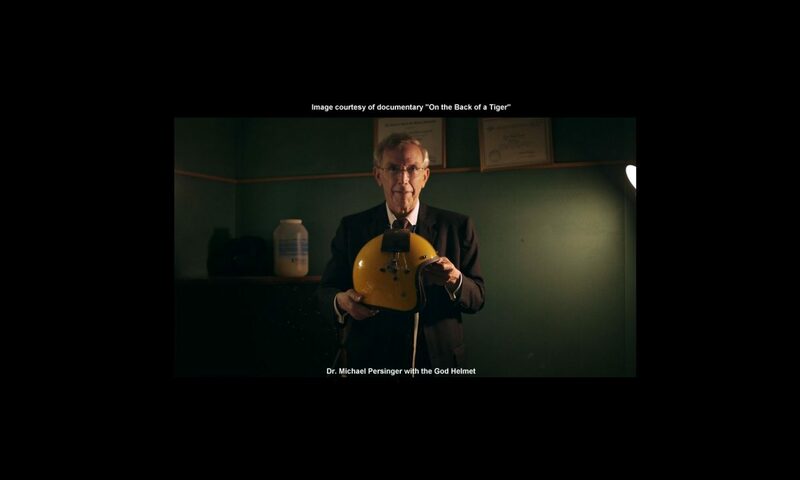 They did not use the well-known helmet but instead employed a device we made for them as a prototype so they could study PET (Positron Emission Tomography) effects. This is what they claimed they were going to do when they visited the laboratory, and that was what we had in mind when we gave them their instructions for its use. They did not follow our precise timing procedures, needed to generate the fields. The effects do not occur without this precision timing. Granqvist et al presented the fields in a non-optimal manner, and their scores for their sham and treatment groups were the same as the scores for our sham groups. Effective magnetic fields are sensitive to the complexity of the timing of their components, just as chemical actions depend on the exact shape of the chemicals being employed. It is like changing a component of a drug and wondering why it does not work. Granqvist wrote: “Such weak fields are considered unable to induce currents strong enough to depolarize neurons. Thus, the mechanism through which weak complex field(s) … may work remains obscure, but the waveform of the field has been suggested to be crucial” (Granqvist, 2004). In fact, there is nothing obscure about how the fields work in the brain. One of the pioneers in biological aspects of magnetic fields, Joseph Kirshvink (1992 A) wrote: “A simple calculation shows that magnetosomes [chains of magnetic particles] moving in response to earth-strength ELF fields are capable of opening trans-membrane ion channels, in a fashion similar to those predicted by ionic resonance models. Hence, the presence of trace levels of biogenic [produced or brought about by living organisms] magnetite in virtually all human tissues examined suggests that similar biophysical processes may explain a variety of weak field ELF bioeffects”. Our brains are richly populated with crystalline magnetite, containing 5 million such crystals per gram (Kirschvink, 1992 B). In the vernacular, our fields work because these crystals move in response and because the information encoded in their movement (coming from our signals); their “patterns”, interacts with the magnetic fields that appear as a consequence of the brain’s electrical activity, a “field to field” effect. Imagine the sun has a storm, making it’s magnetic field pulse slowly. Here, on the earth, we would have geomagnetic storms, as pulses from the sun’s stormy field is added to that of our planet. We have found this same field that produced the sensed presence works by very specific channels within membranes that allow calcium to enter the cell (Buckner et al, 2015). The timing of the point durations that compose the specific field pattern must be precise or there is no effect. Notwithstanding the explanation for the effects of the fields, we also know of at least a dozen researchers who have observed measurable effects from magnetic fields that are significantly weaker than TMS. These corroborate our reports of measurable bioeffects from weak magnetic fields and demonstrate that depolarizing neurons is not the only way magnetic fields can influence the brain. We also did a study to demonstrate the permeability of the skull and cerebral space to magnetic fields (Persinger & Saroka, 2013). The recent replication of our work (Tinoco, 2014) appears to resolve these issues. We look forward to further studies in the field. Our analgesic effects from weak applied magnetic fields, beginning in 1994 (Fleming, et al., 1994, Martin, 2004, Gallic, 2007) were replicated by Thomas, Prato & Kavaliers in invertebrates (Thomas, 1997), rats (Shupak, 2004), and humans (Robertson, et al., 2010). A major review by an Italian research group (Seppia, et al., 2007) has demonstrated not only the effectiveness of these fields but their biochemical pathways. Similar research has been done by many others (Bao, 2006, Kortekaas, 2014,). Our work on these effects continues up to the present (Murugan, 2014). Our work on geophysics the geophysics of luminous displays (earth lights, ball lightning, etc) has been corroborated by several researchers. The same is true for our work in paranormal experiences and correlative geomagnetic field levels. My original work (Persinger, 1969) concerning the effects of rotating magnetic fields upon fetal development in rats was replicated by Ossenkopp (1972). My quantitative demonstration that a significant proportion of global warming is more related to solar corona expansion and trends in geomagnetic activity rather than all CO2 (Persinger, 2010) has been replicated by several researchers, including Sudhir (2012) and Wilson, (2014). Our histopathological analysis of calcium aggregates in brain from excessive seizure damage (Lafreniere et al, 1992) was replicated by Japanese researchers (Mori, 2000). Our LORETA measures concerning mental time travel, that is measuring memories of experiences from the past and present and pre-experiences of the imagined future (Lavallee, et al., 2010) are consistent with what many others have measured, including Irish (2013). It seems that one researcher did not replicate one of our results, and online commentators have taken this to mean that none of them have been replicated. This, in turn was distorted to imply that none of them could be. I have little doubt that this chain of rumors and distortions has its basis in the way some have been offended by my work on religion. Religious believers don’t want to accept that the brain could be instrumental in religious belief, and “new atheists” are offended by the idea that religion and religious experiences reflect processes intrinsic to the human brain, and can thus be considered as intrinsic to our species. Anyone who has taken the time to precisely recreate the experimental or analytical conditions have replicated and extended our results. I hope this blog will clarify that much of our work has been replicated and that we look forward to persevering in our efforts. St-Pierre, L.S., and M. A. Persinger. “Experimental facilitation of the sensed presence is predicted by the specific patterns of the applied magnetic fields, not by suggestibility: re-analyses of 19 experiments.” International Journal of Neuroscience 116.19 (2006): 1079-1096. Persinger, Michael A., and S. A. Koren. “A response to Granqvist et al.“Sensed presence and mystical experiences are predicted by suggestibility, not by the application of transcranial weak magnetic fields”.” Neuroscience Letters 380.3 (2005): 346-347. Tinoca, Carlos A., and João PL Ortiz. “Magnetic Stimulation of the Temporal Cortex: A Partial “God Helmet” Replication Study.” Journal of Consciousness Exploration & Research 5.3 (2014). Richards, Pauline M., Michael A. Persinger, and Stan A. Koren. “Modification of activation and evaluation properties of narratives by weak complex magnetic field patterns that simulate limbic burst firing.” International journal of Neuroscience 71.1-4 (1993): 71-85. Granqvist, Pehr, et al. “Sensed presence and mystical experiences are predicted by suggestibility, not by the application of transcranial weak complex magnetic fields.” Neuroscience Letters 379.1 (2005): 1-6. Kirschvink, Joseph L., et al. “Magnetite in human tissues: a mechanism for the biological effects of weak ELF magnetic fields.” Bioelectromagnetics 13.S1 (1992 A): 101-113. M. Persinger and K. Saroka, “Minimum Attenuation of Physiologically-Patterned, 1µ Tesla Magnetic Fields through Simulated Skull and Cerebral Space,” Journal of Electromagnetic Analysis and Applications, Vol. 5 No. 4, 2013, pp. 151-156. Fleming, Jennifer L., M. A. Persinger, and Stanley A. Koren. “Magnetic pulses elevate nociceptive thresholds: Comparisons with opiate receptor compounds in normal and seizure-induced brain-damaged rats.” Electromagnetic Biology and Medicine 13.1 (1994): 67-75. Thomas, Alex W., et al. “Antinociceptive effects of a pulsed magnetic field in the land snail, Cepaea nemoralis.” Neuroscience letters 222.2 (1997): 107-110. Robertson, John A., et al. “Evidence for a dose-dependent effect of pulsed magnetic fields on pain processing.” Neuroscience letters 482.2 (2010): 160-162. Del Seppia, Cristina, et al. “Pain perception and electromagnetic fields.”Neuroscience & Biobehavioral Reviews 31.4 (2007): 619-642. Bao, Xiuqi, et al. “A possible involvement of β‐endorphin, substance P, and serotonin in rat analgesia induced by extremely low frequency magnetic field.” Bioelectromagnetics 27.6 (2006): 467-472. Kortekaas, R., et al. “Weak field transcerebral pulsed electromagnetic fields in health care.” Antennas and Propagation (EuCAP), 2014 8th European Conference on IEEE, 2014. Persinger, Michael A. “Open‐field behavior in rats exposed prenatally to a low intensity‐low frequency, rotating magnetic field.” Developmental psychobiology 2.3 (1969): 168-171. Ossenkopp, Klaus P. “Maturation and open-field behavior in rats exposed prenatally to an ELF low-intensity rotating magnetic field.” Psychological Reports, Vol 30(2), Apr 1972, 371-374. Persinger, Michael A. “The cosmology of climate change: Intercorrelations between increased global temperature, carbon dioxide and geomagnetic activity.” Journal of Cosmology 8 (2010): 1957-1969. Wilson, Robert M. “On the Relationship Between Global Land-Ocean Temperature and Various Descriptors of Solar-Geomagnetic Activity and Climate.” NASA/TP—2014–218193, NASA Marshall Space Flight Center, Huntsville, AL 62 pp, 2014. Lafreniere, Ghislaine F., Oksana Peredery, and Michael A. Persinger. “Progressive accumulation of large aggregates of calcium-containing polysaccharides and basophilic debris within specific thalamic nuclei after lithium/pilocarpine-induced seizures.” Brain research bulletin 28.5 (1992): 825-830. Mori, Fumiaki, Kunikazu Tanji, and Koichi Wakabayashi. “Widespread calcium deposits, as detected using the alizarin red S technique, in the nervous system of rats treated with dimethyl mercury.” Neuropathology 20.3 (2000): 210-215. Irish, Muireann, and Olivier Piguet. “The pivotal role of semantic memory in remembering the past and imagining the future.” Frontiers in behavioral neuroscience 7 (2013). Our God Helmet experiments employ double-blind conditions and placebo protocols – A Blog by Dr. Michael A. Persinger. Our critics are mistaken when they claim we do not use proper controls. We are committed to the scientific method, especially in laboratory experiments, including subject blindness, experimenter blindness, control groups, and blindness by those who analyze our data. Question: What are your standard double-blind and placebo controlled protocols? Answer: Expectancy and confirmation bias are always important variables when human beings are measuring or being measured. Most of our major experiments over the last three decades with the sensed presence were double blind. For a placebo, we use a “sham” or absent magnetic field, which we create by disconnecting the solenoids (magnetic coils) from the signal source. We also exploit all ways and means for ensuring that our subjects are not given any suggestions as to the purpose of the experiment. The subjects volunteered for a relaxation study and were told (via the consent form) they might be exposed to a weak magnetic field. Four to six weeks prior to their participation, the subjects had completed intake questionnaires. Some critics have mistakenly said that our questionnaires (which asked about some spiritual and otherworldly experiences and beliefs) were administered immediately before the experimental sessions, and that this introduced inadvertent suggestions. In fact, our standard procedure is to separate the questionnaires from the sessions by an average of a month. They are eventually invited to participate in a “Relaxation Experiment”, so they are unaware that the questionnaires given previously have any relation to the experiment. The subjects are kept in the experimentally blind condition. They are not influenced by expectations when coming into our lab. The lab itself looks like a busy workplace, and is not decorated with religious or spiritual images. The experimenter, usually an undergraduate or graduate student, who runs the experiment is not aware of the true hypothesis or mechanism. Here is a very brief summary of that experiment, with its 50 male and 50 female subjects. In this study, we used a signal derived from burst-firing in the amygdala, applying it over the temporal lobes via a set of four solenoids over each temporal lobe. We rotated the signal by turning them on and off in sequence. All of this was built into the hardware (The God Helmet) or coded into the software that drives it, written by Stanley Koren. We applied the signal for 10 minutes, gave it a 5 minute break, and applied it for another 10 minutes. This was done to avoid habituation. Note that in some experiments, subjects were told that the experiment concerned memory. The relaxation and memory suggestions kept the subject in an experimentally blind condition. The experimenter ran different patterns of magnetic fields created by Professor Stan Koren and me. Once the results were collected they were analyzed routinely by SPSS (statistical analysis) software. Women reported more frequent experiences of a sensed presence than men did , and men were more likely than women to consider these experiences as “intrusions” from extrapersonal or ego-alien sources. Both effects were predicted by one of our hypotheses (vectoral hemisphericity) and the known neurologically-based cognitive differences between right-handed men and right-handed women. Regrettably, online critics often fail to include this critical reply to Dr. Granqvist. Here, stimulation of the right hemisphere is compared to both stimulation of the left, and to controls. This method allows greater certainty for our results. Moreover, we often employ “blind” analysis of EEG and QEEG data, in which the person carrying out the analysis does not know what hypothesis the data is intended to study (Makarec, 1990). In our rat studies, we also carry out blind analysis of rat brain sections, in which the investigator does not know which brain regions may have been affected by a procedure, or the magnitude of the differences predicted between the rat brains used in the study and those which were not (Fournier, 2012). In rat studies investigating differences in rat behavior following stimulation with magnetic signals, the experimenter observing their behavior is kept blind to the experimental condition (Whissell, 2007, McKay, 2004, Bureau, 1994, Babik, 1992). Our examination of microscope slides from rat subjects and controls is also done under blind conditions (Cook, 1999). We have also carried out similar procedures with worm (planarium – Dugesia sp.) studies (Mulligan, 2012). When we analyze the congruence between intuitively-derived narratives from individuals with exceptional cognitive skills and actual information, we use groups of student “raters” who compare the two data sets, and rate the degree of congruence. All raters are “blind” in that they don’t know anything about the circumstances under which the narratives were derived, or the overall purpose of the experiment (Hunter, 2010). We also employed the same technique to assess the accuracy of remote viewing by the artist Ingo Swann using graphic images he sketched during remote viewing sessions, augmented by our “Octopus” apparatus (Persinger, 2002, B). In a related case history, we attempted to interpolate a specific image from a collection of art prints into the dreams of another. The “agent”, who repeatedly viewed a randomly-chosen (based on dice throws) art image, was the only one who knew which image was being used. The results demonstrated that greater accuracy was associated with lower geomagnetic activity. Mulligan’s (2012) study with planaria. Whissell’s (2007) experiment on the interactions of nitric oxide and seven hertz magnetic fields. Booth’s (2005) sensed presence study. My own study on increased alpha activity from the left hemisphere with stimulation with our burst-firing pattern (Persinger, 1999). My study on enhanced hypnotic suggestibility (Persinger, 1996). A study that assessed the pleasantness of a long-term potentiation signal (Persinger, 1994). Sham fields are also used in our studies with cell cultures (Murugan, 2014 A), water Ph (Murigan, 2014 B), Obesity in rats (St-Pierre, 2014), Suppression of Cancer cells, (Karbowski, 2012), energy storage in water (Gang, 2012), planeria studies (Gang, 2011) and scores of other studies that didn’t use human subjects. The issue of double blind and placebo control is less important with our modern technology because of the availability of normative (“averages”) for different states, including placebo response states. Comparing the results of our EEG studies to standard normative EEG states allows us to make inferences that would have required baseline (control) readings just a few years ago (Congedo, 2010). During the last 5 years, quantitative electroencephalographic measurements by computer and the algorithms to compute distributions of power within the volume of the brain for different frequency bands have become available, and these have revealed that different patterns of fields, delivered to different sides of the brain, produce specific patterns regardless if the person knows if a field is presented or not (Saroka, 2013). Placebo effects produce very specific patterns that are not the same as those associated with either the field presentation or the field plus sensed presence effect. In spite of claims to the contrary, we do use placebo controls and blind experimental conditions. Our emphasis has been on quantifiable data, replication, and blind conditions, wherever possible and appropriate. We remain committed to the scientific method. I hope this blog will clarify our use of blind conditions, placebo controls and suggestion in our laboratory. P.M. Richards, S.A. Koren, M.A. Persinger, Experimental stimulation by burst-firing weak magnetic fields over the right temporal lobe may facilitate apprehension in women, Perceptual and Motor Skills 75 (1992) 667–670. Persinger MA, Richards PM, Koren SA. “Differential ratings of pleasantness following right and left hemispheric application of low energy magnetic fields that stimulate long-term potentiation.” International Journal of Neuroscience. 1994 Dec;79(3-4):191-7. Healey F, Persinger MA, Koren SA. “Enhanced hypnotic suggestibility following application of burst-firing magnetic fields over the right temporoparietal lobes: a replication.” International Journal of Neuroscience. 1996 Nov;87(3-4):201-7. Krippner, Stanley, and Persinger, Michael. “Evidence for enhanced congruence between dreams and distant target material during periods of decreased geomagnetic activity.” Journal of Scientific Exploration 10.4 (1996): 487-493. Persinger, M. A. “Increased emergence of alpha activity over the left but not the right temporal lobe within a dark acoustic chamber: differential response of the left but not the right hemisphere to transcerebral magnetic fields.” International Journal of Psychophysiology 34.2 (1999): 163-169. M.A. Persinger, F. Healey, Experimental facilitation of the sensed presence: possible intercalation between the hemispheres induced by complex magnetic fields, Journal of . Nervous and Mental Disorders. 190 (2002) 533–541. Booth, J. N., S. A. Koren, and M. A. Persinger. “Increased feelings of the sensed presence and increased geomagnetic activity at the time of the experience during exposures to transcerebral weak complex magnetic fields.”International Journal of Neuroscience 115.7 (2005 A): 1053-1079. Tiller, S.G; Persinger, M.A. , Geophysical variables and behavior: XCVII. Increased proportions of left-sided sense of presence induced experimentally by right hemispheric application of specific (frequency-modulated) complex magnetic fields, Perceptual and Motor Skills 94 (2002) 26–28. Persinger MA, Roll WG, Tiller SG, Koren SA, Cook CM. “Remote viewing with the artist Ingo Swann: neuropsychological profile, electroencephalographic correlates, magnetic resonance imaging (MRI), and possible mechanisms.” Perceptual and Motor Skills. 2002(B) Jun;94(3 Pt 1):927-49. Murugan, Nirosha J., Lukasz M. Karbowski, and Michael A. Persinger. “Weak burst-firing magnetic fields that produce analgesia equivalent to morphine do not initiate activation of proliferation pathways in human breast cells in culture.” (2014). Murugan, N. J., L. M. Karbowski, and M. A. Persinger. “Serial pH Increments (~ 20 to 40 Milliseconds) in Water during Exposures to Weak, Physiologically Patterned Magnetic Fields: Implications for Consciousness.” Water 6 (2014): 45-60. Ventura, Anabela C., Kevin S. Saroka, and Michael A. Persinger. “Non-Locality changes in intercerebral theta band coherence between practitioners and subjects during distant Reiki procedures.” Journal of Nonlocality 3.1 (2014). Corradini, Paula L., and Michael A. Persinger. “Brief Cerebral Applications of Weak, Physiologically-patterned Magnetic Fields Decrease Psychometric Depression and Increase Frontal Beta Activity in Normal Subjects.” Journal of Neurology & Neurophysiology (2013). Karbowski, Lukasz M., et al. “Digitized quantitative electroencephalographic patterns applied as magnetic fields inhibit melanoma cell proliferation in culture.” Neuroscience letters 523.2 (2012): 131-134. Gang, N., L. S. St-Pierre, and M. A. Persinger. “Water dynamics following treatment by one hour 0.16 Tesla static magnetic fields depend on exposure volume.” Water 3 (2012): 122-131. Gang, Noa, and Michael A. Persinger. “Planarian activity differences when maintained in water pre-treated with magnetic fields: a nonlinear effect.”Electromagnetic biology and medicine 30.4 (2011): 198-204. Congedo, Marco, et al. “Group independent component analysis of resting state EEG in large normative samples.” International Journal of Psychophysiology78.2 (2010): 89-99. Replications of our work on Geomagnetism and Paranormal Phenomena – A Blog By Dr. Michael A. Persinger. Several researchers, including myself, have observed correlations between geomagnetic activity and reports of paranormal phenomena. A blog by Dr. M.A. Persinger. Question: It has been said that your work on the effects of geomagnetic variables on paranormal phenomena “has not been replicated”. Is this true? Answer: No; Our results have been replicated repeatedly. Confused claims that my work (on the effects of geomagnetic influences on paranormal phenomena) has not been replicated are based on the mistaken belief that its based on experiments. Instead, the results are based on statistical analyses (replication procedures are for experiments) correlating a wide range of data with geomagnetic states. To validate a statistical study, one has only to obtain the data, and perform the calculations. The “geomagnetic effect” has been found in a variety of anecdotal data throughout recorded history. The experimental dream psi studies from Ullmann and Krippner (1970) were done almost 50 years ago. For decades after that, groups of researchers, including myself and my colleagues, have investigated the contributions of the geomagnetic field to paranormal phenomena. Each working independently, we have replicated and extended one another’s work. There are a few differences in what we’ve found. Replication and significant convergences in results are commonplace in this field. Spottiswoode (1997) reported that unusually high effect sizes may be observed in trials with anomalous cognition (PSI, ESP, etc) occurring during specific windows in sidereal time when geomagnetic fluctuations are also minimal. This confirms our finding that geomagnetic quiet is conducive to these kinds of experiences. The same author (1990) also reported negative correlations between scores in free response anomalous cognition experiments and geomagnetic fluctuations, confirmed in four datasets which showed significant anomalous cognition. Adrian Ryan has explored the correlations we have seen between geophysical activity and hypothesized that ESP effects may be due to geomagnetic pulsations, a line of research that both replicates and extends some of our efforts (Ryan, 2008). Researchers Haraldsson and Gissurarson (1987) studied the scores from 70 Ganzfeld sessions (telepathy-clairvoyance) and found they related significantly to high geomagnetic activity of the day prior to the experimental sessions but not to the geomagnetic activity during the day of the sessions. The same relationship was found in experiments which consisted mostly of 80 trials with clairvoyance computer games per subject. Their results partially confirmed our earlier findings that spontaneous paranormal experience tend to occur on a day of low geomagnetic activity which is preceded by days of high geomagnetic activity. Lipniki (2009) replicated the geomagnetic effect without referring to psi effects in a case report where dreams from low geomagnetic activity periods were found to be significantly more bizarre than dreams from periods with high geomagnetic activity . Another case history implies a strong correlation between sleep paralysis and geomagnetic quiet. Conesa (1995) reported that periods of relatively quiet geomagnetic activity were significantly associated with an increased incidence of sleep paralysis episodes, and also (Conesa, 1997) dream vividness. Moturi et al., (2013) also noted correlations between geomagnetic states and sleep paralysis. The “geomagnetic” effect as inferred from solar wind velocity was reported by Randall and Randall (1991), who examined data from the 19th century on hallucinations and magnetic disturbances. These were found to exhibit a direct and statistically significant correlation. It’s easy to see how this corroborates our work correlating geomagnetic activity with paranormal, PSI, ESP and other anomalous experiences when we recall that changes in solar winds are one of the primary sources for geomagnetic variations. Our work with the effects of elevated magnetic field strengths (rather than geomagnetic activity) has been replicated by JJ Braithwaite (2004), who reported that That “the overall magnetic field strength (amplitude) is greater at areas of interest [areas generating higher numbers of reports of paranormal perceptions] relative to baseline areas”. The same researcher (2005) observed the same effect in a “haunted bedroom”. This corroborated and extended of our results in it’s observation of “large static inhomogeneous magnetic field and complex temporal distortions in the time-varying (AC) magnetic fields”. We have seen (Persinger, 1997) that similarly anisotropic structures within both the geomagnetic field and in our complex magnetic stimulation fields also contribute to their subjective effects. Our work on the association between geomagnetic and paranormal phenomena has also been replicated by Roll (2000) who made recordings of the local geomagnetic fields (GMFs), electromagnetic fields (EMFs), and ion densities in putatively haunted locations. On the basis of previous studies he predicted that the sites would exhibit anomalous EMFs or GMFs. Ten out of twelve of the sites did show such anomalies. It’s also worth noting that in addition to the paranormal and ESP effects noted above, the scientific literature includes many studies of the effects of geomagnetic activity on medical and psychiatric disorders and issues. These include stress (Rapoport, 1998 ), suicide (Berk, 2005), blood pressure (Dimitrova, 2004) psychiatric admissions (Raps, 1992), stroke (Feigin, 2014), changes in EEG profiles (Novik, 2013) and errors in performing laboratory tasks (Binhi, 2009). The geomagnetic field makes these effects more likely, but doesn’t cause them. I hope this blog will clarify the value of studying geophysical influences on human cognition and health. Ullman, Montague, and Stanley Krippner. Dream studies and telepathy: An experimental approach. No. 12. Parapsychology Foundation, 1970. Ryan, Adrian. “New insights into the links between ESP and geomagnetic activity.” Journal of Scientific Exploration 22.3 (2008): 335-358. Lipnicki DM. “An association between geomagnetic activity and dream bizarreness.” Medical Hypotheses. 2009 Jul;73(1):115-7. Nishimura T, Tada H, Nakatani E, Matsuda K, Teramukai S, Fukushima M.”Stronger geomagnetic fields may be a risk factor of male suicides.” Psychiatry and Clinical Neuroscience. 2014 Jun;68(6):404-9. Spottiswoode, S. James P. “Geomagnetic fluctuations and free-response anomalous cognition: A new understanding.” Journal of Parapsychology 61.1 (1997): 3-12. CONESA JORGE (1997) ISOLATED SLEEP PARALYSIS, VIVID DREAMS AND GEOMAGNETIC INFLUENCES: II. Perceptual and Motor Skills: Volume 85, Issue , pp. 579-584. Moturi, Sricharan, and Poojitha Matta. “Recurrent Isolated Sleep Paralysis (RISP).” Parasomnias. Springer New York, 2013. 201-206. Randall W, Randall S. “The solar wind and hallucinations—a possible relation due to magnetic disturbances.” Bioelectromagnetics. 1991;12(1):67-70. Braithwaite, Jason J. “Magnetic variances associated with ‘haunt-type’experiences: a comparison using time-synchronised baseline measurements.” European Journal of Parapsychology 19 (2004): 3-28. Braithwaite, Jason J., and Maurice Townsend. “Research Note: Sleeping With the Entity–A Quantitative Magnetic Investigation of an English Castle’s Reputedly ‘Haunted’Bedroom.” European Journal of Parapsychology 20 (2005): 65-78. Persinger, Michael A. “Metaphors for the effects of weak, sequentially complex magnetic fields.” Perceptual and motor skills 85.1 (1997): 204-206. Rapoport SI, Boldypakova TD, Malinovskaia NK, Oraevski? VN, Meshcheriakova SA, Breus TK, Sosnovski? AM. “Magnetic storms as a stress factor.” Biofizika [Biophysics]. 1998 Jul-Aug;43(4):632-9. Raps A, Stoupel E, Shimshoni M. “Geophysical variables and behavior: LXIX. Solar activity and admission of psychiatric patients. Perceptual and Motor Skills. 1992 Apr;74(2):449-50. Dimitrova S, Stoilova I, Cholakov I. “Influence of local geomagnetic storms on arterial blood pressure.” Bioelectromagnetics. 2004 Sep;25(6):408-14. Feigin VL(et al.) “Geomagnetic storms can trigger stroke: evidence from 6 large population-based studies in Europe and Australasia.” Stroke. 2014 Jun;45(6):1639-45. Binhi VN, Sarimov RM. “Zero magnetic field effect observed in human cognitive processes.” Electromagnetic and Biological Medicine. 2009;28(3):310-5. A Reply to the “Placebo” or “Fake” God Helmet Experiment. Reply to “Neuroscience for the Soul”. The Tectonic Strain Theory and French’s “Haunted Room” Experiment – a Blog By Dr. Michael Persinger. Olaf Blanke’s Robot Ghost & “Artificial Spirit” – God Helmet findings corroborated. 8 Coil Shakti feelgood session. New Book Sacred Pathways: The Brain’s Role In Religious and Mystic Experiences. Foreword by the Dalai Lama. The God Helmet: Weak Magnetic Fields are strong enough. Sacred Pathways: The Brain's Role in Religious and Mystic Experiences.